What If We Treated Guns Like Cars? 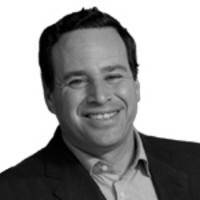 David Frum on what we can learn from auto safety. In the single year 1965, some 47,000 Americans died in car accidents, as many as died in combat in the entire Vietnam War. 1) They improved auto design, by requiring seat belts and other safety technology. 2) They improved road design, with clearer signs and wider highway medians. 3) They cracked down on unsafe driver behavior, especially drunk driving. It all worked! Auto fatalities have declined and declined and declined. The year 2011 set another safety record: 1.1 auto deaths per 100 million vehicle miles driven. Americans can hope for even greater improvements in the years ahead as cars gain artificial intelligence. Suppose somebody had argued back in 1965 that the "real" cause of car accidents was drinking. Suppose they had argued that it was useless to improve roads and a violation of automakers' rights to require seat belts—that the one and only thing to do was to crack down on drunk driving. They wouldn't have been wrong about drunk driving. But had they been listened to, much less progress would have been achieved. Yet this is exactly how the debate over gun safety unfolds. After a mass casualty shooting, gun rights advocates direct our attention to the gaps in the American mental health system. They're right, too! But it is also true that the easy availability of guns enables mentally troubled people to do much more damage than they might in another country where guns are harder to come by. Shouldn't we pay attention to both problems? Yes, we have to tread lightly with gun regulation: the right to bear arms is constitutionally protected. But the mentally ill have rights too, including the right not to be locked up on the warning of a relative or teacher or co-worker. The Second Amendment does not trump the Fifth Amendment. But if the easy availability of guns is not the sole cause of horrors like the Washington Navy Yard massacre, the easy availability of guns is the proximate cause of thousands of other less spectacular tragedies every year: the accidents, the unintended shootings, the ordinary arguments that escalate into gun battles. Gun rights advocates insist that the U.S. faces a choice between the status quo and the repeal of the Second Amendment and mass confiscation of firearms. That is false. Improved gun safety no more requires a gun ban than improved auto safety demanded the outlawing of cars. Gun design could be regulated to enhance safety. Those who wish to own guns could be required to take safety courses and pass a test. Individuals who are found to store their weapons unsafely could forfeit for a time their ownership rights. Persons convicted of drug offenses or drunk driving could be deprived of gun rights in their sentence, as felons now are deprived of the right to vote in many states. The classes of weapons associated with mass casualty shooting could be more strictly controlled. It's not all or nothing, not all one way or all the other way: moderate steps could achieve substantial results. The goal is not to reduce the level of gun violence to zero, any more than it is to stop all auto fatalities. The goal is to enhance safety while upholding legitimate rights. It's been done before. It can be done again.